The accounting firm of Paws Waterhydrant has counted and certified the challenge naming Sparky’s Spot the winner of the 2014 Pounds for Pets Challenge. 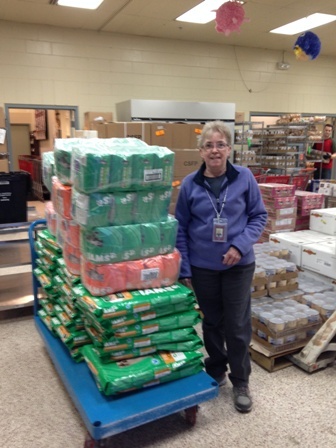 A grand total of $9,152 was raised, which will buy 7,563.6 pounds of pet food. Our goal was 6,000 pounds. Overwhelmed with gratitude, I cannot begin to thank you for your VERY generous donations. This program has made a significant difference in the lives of hungry pets in the Anchorage community *because* of the Dog Tired community of caring.